Spacetry, not just space cake but ‘Michelin Star’ worthy cannabis infused edibles (with THC)! You might have seen them and even more likely that you already tried a few of these outstanding treats from our coffeeshops. Time to make our bestsellers even more better, to offer you a product that you will remember by taste and of course by effect! 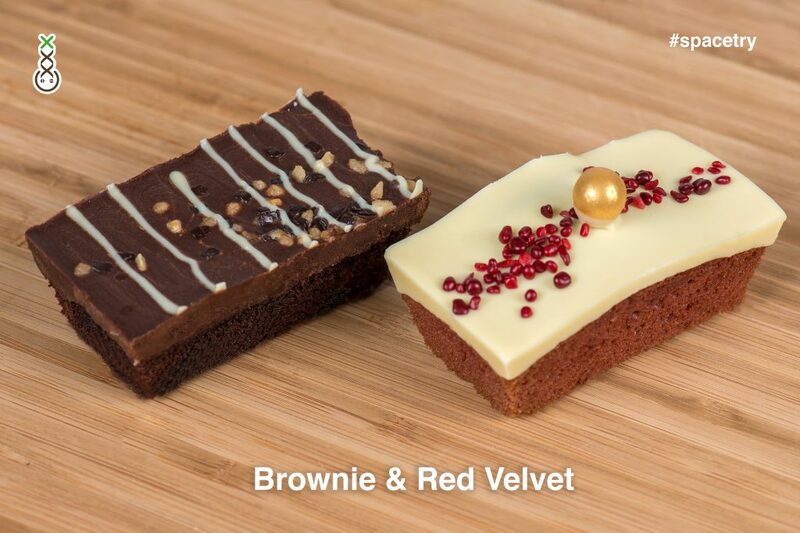 We totally renewed the recipes of the Red Velvet Cake and the Brownie, that resulted in a way better taste and structure for both of our bestselling space cake items. We tested and tasted with the full team and are more than happy with the results. You must know that we put the same effort in Spacetry than in our range of weed and hash products. Only the best quality counts for Boerejongens Coffeeshop. 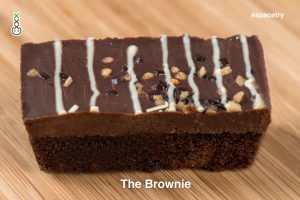 The Brownie is with a full flavor of chocolate and a delicious sticky structure, topped with delicious chocolate. 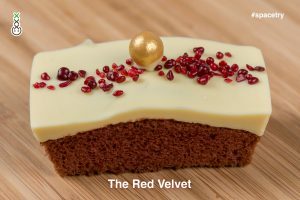 The Red Velvet with a true velvet structure as a Red Velvet cake shoul be, with a slight taste of cacao and raspberry water, topped with white chocolate cream. Please note that eating cannabis infused edibles has a totally different effect than smoking cannabis. For the best experience with space cake/ cannabis infused edibles, please always read the Cannabis Edibles Awareness on our website!